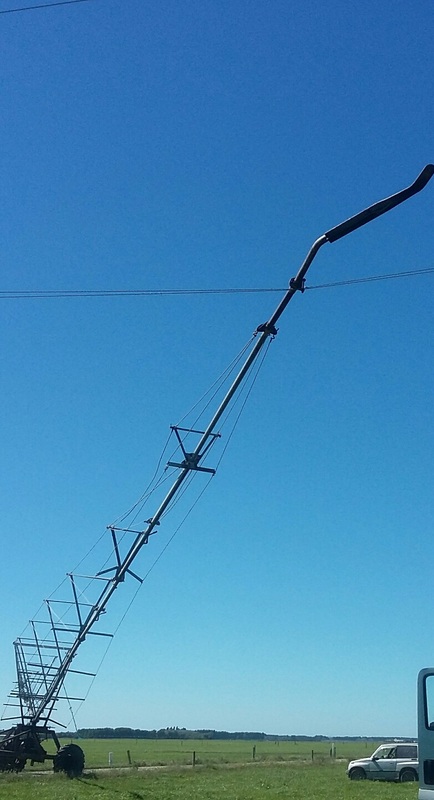 South Canterbury farmers are being reminded to prevent water from their irrigators touching overhead power lines following a series of incidents in January. The reminder follows five occurrences where water from irrigators connected with power lines causing outages and infrastructure damage. Alpine Energy Group Manager Safety and Risk Stephen Small says farmers need to be aware of the proximity to power lines and think about where the water is going once it leaves the irrigator. Equipment does not need to touch the lines. Electricity can arch through damp air in a high voltage system without direct contact resulting in power outages, fire and possible electrocution. Water jets hitting overhead lines can also cause outages. Members of the public should report any occurrence of water hitting power lines to Alpine Energy on 03 687 4300, or via the snap, send, solve smartphone application which provides exact information about the location of the event. The use of irrigators needs to comply with ECP 34: The New Zealand Electrical Code of Practice for Electrical Safe Distances. Unless you have Alpine’s consent the minimum distance from our overhead lines is four metres.